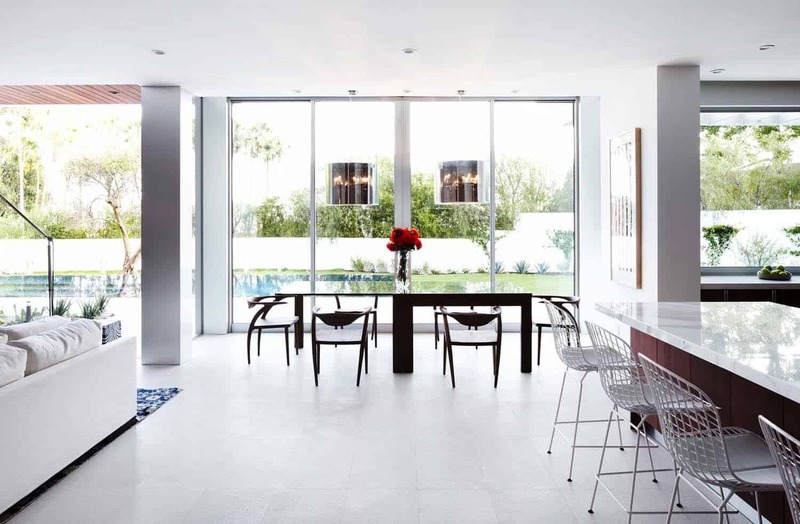 Interior design firm Erinn V Design Group has really wowed us with the spectacular job she did on the interiors of this fabulous modern estate property located in Los Angeles, California. 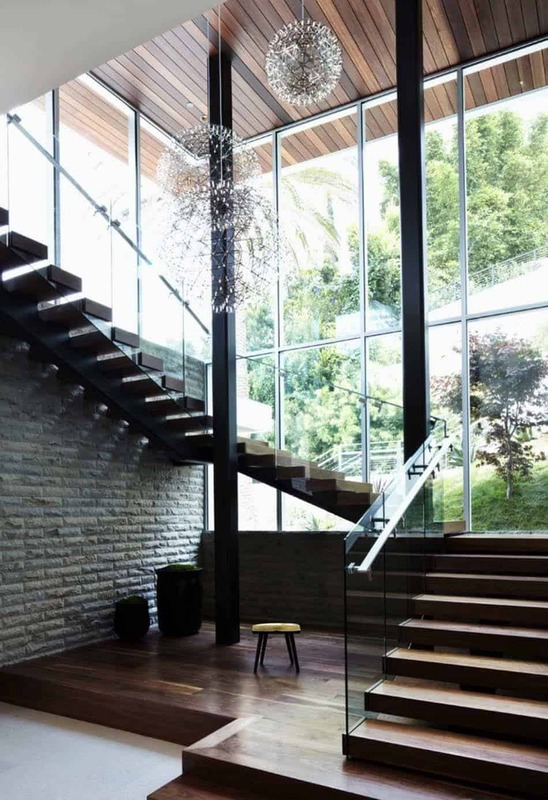 Positioned in an affluent neighborhood of Sunset Plaza drive, this hillside home is magnificent both inside and out. 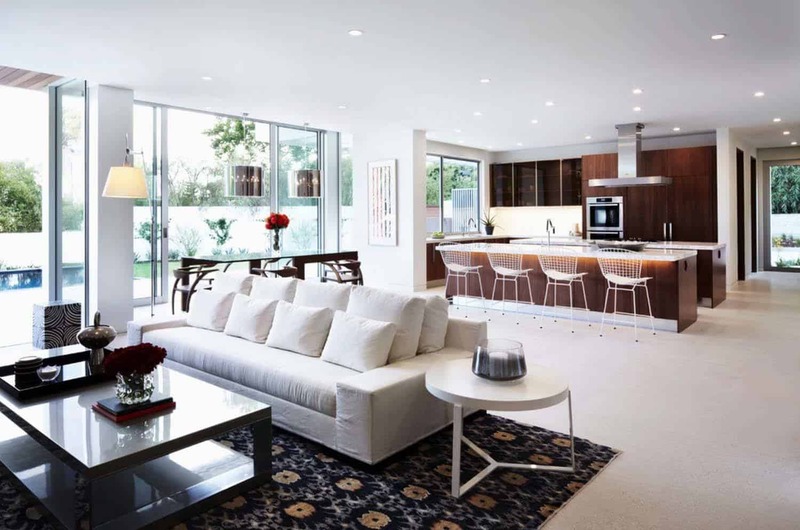 Open plan interiors of the living, dining, family room and kitchen all feature sliding doors that disappear into the walls, connecting the interiors with the exteriors. 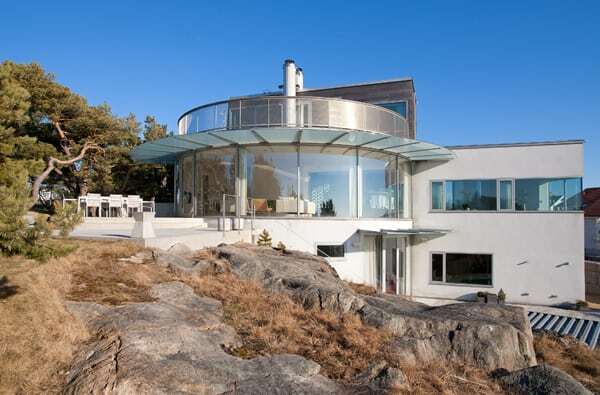 This is the ultimate entertaining house, as the property can easily accommodate several hundred people. 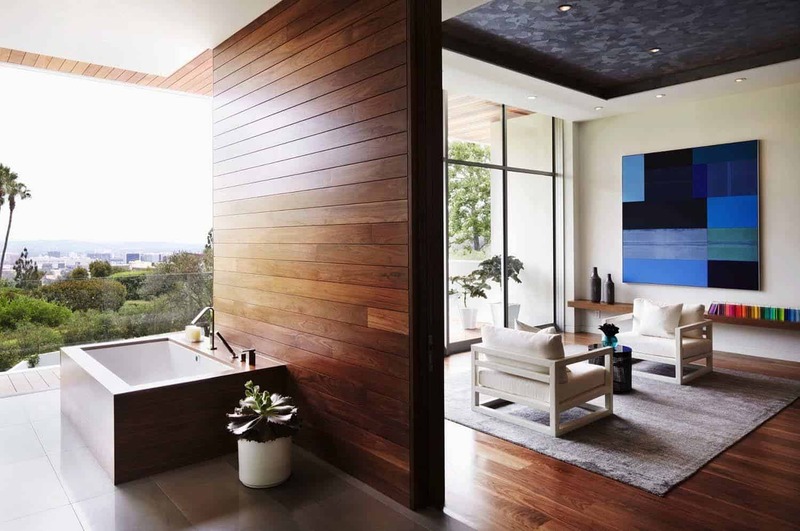 The style of the home is “California modern”, which meant infusing both the interior and exterior with warm woods. 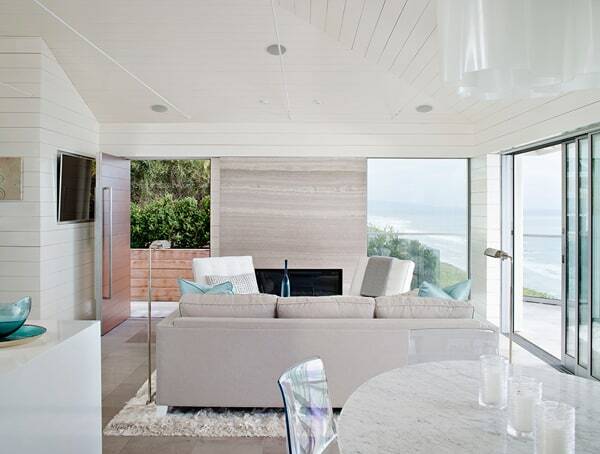 The color scheme selected by the designer for the luxurious interiors is walnut, white, and a bronzey-cream. In the kitchen, you will notice a double island, in keeping with the entertaining feel of the home. Guests can sit at one island to feel like they are apart of the action, yet the chefs will still have their personal space and less distraction working from the additional island. 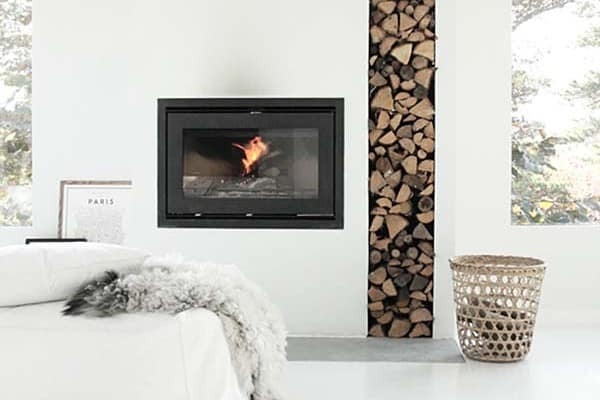 In the living room, the stunning double-sided fireplace is the focal point and also serves as a dividing wall between the living and dining rooms. 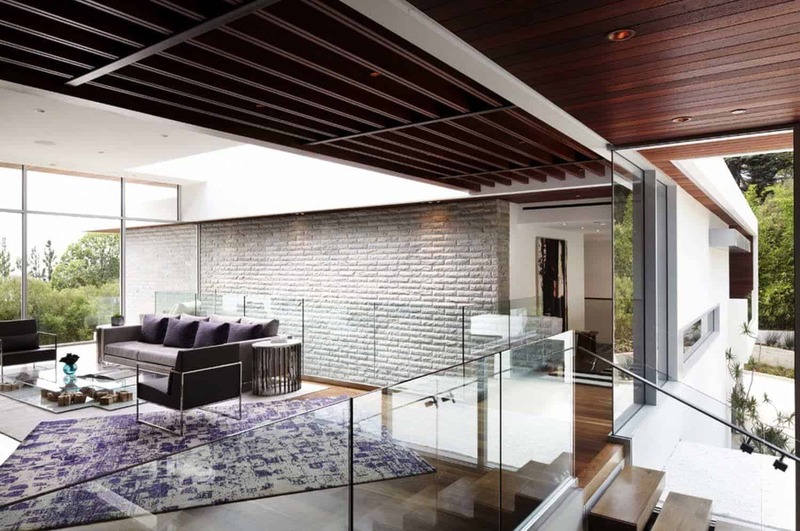 The fireplace is comprised of custom carved marble panels sourced from Soli. The spacious rooms are decorated with larger furnishings, scaled to fit the size of the room. 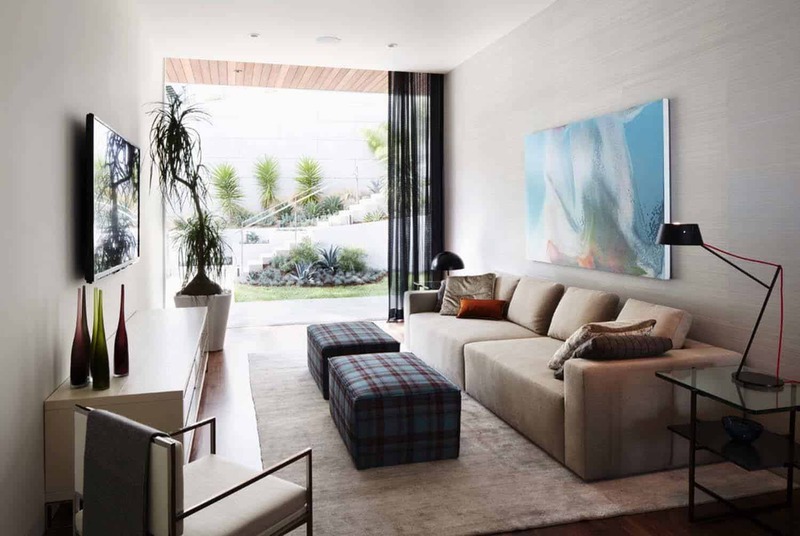 The aesthetic is characterized by modern, clean lines that are injected with warmth with the addition of textures, wood clad ceilings and views of the lush greenery surrounding the property. 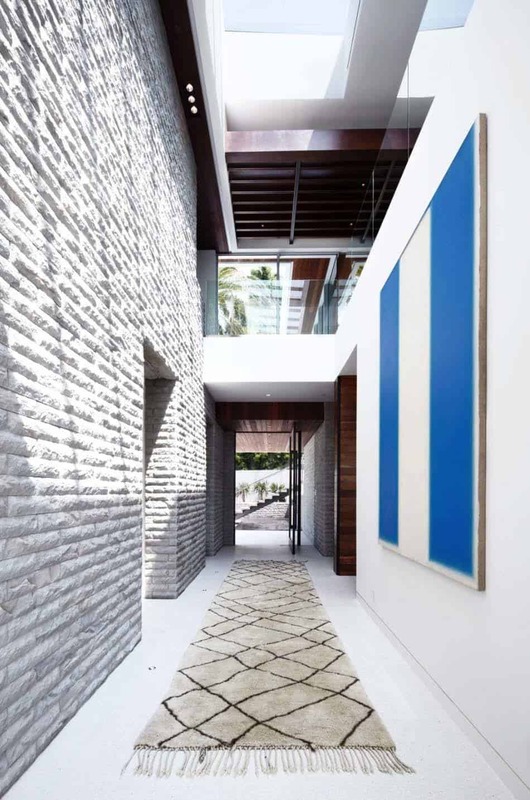 What We Love: The indoor-outdoor connection for starters and the light filled interiors, its just stunning. Most notably, this is a true dream home, every detail has been paid attention to and the spa master bathroom is a retreat that we could take a vacation in…how about you? Located on the second level is this sensational master bedroom retreat that features views over the swimming pool and out towards downtown Los Angeles. To take advantage of the amazing sight lines this space has to offer, the designer elected to float the bed instead of placing it against a wall. 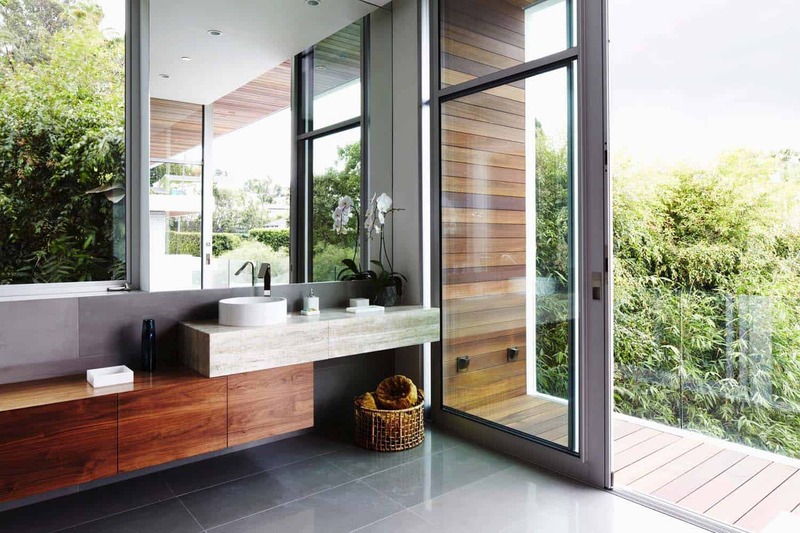 Bringing the outside in, sliding glass doors can disappear into the wall, allowing its inhabitants to walk right outside onto a private balcony that runs the full length of the master bedroom en-suite. 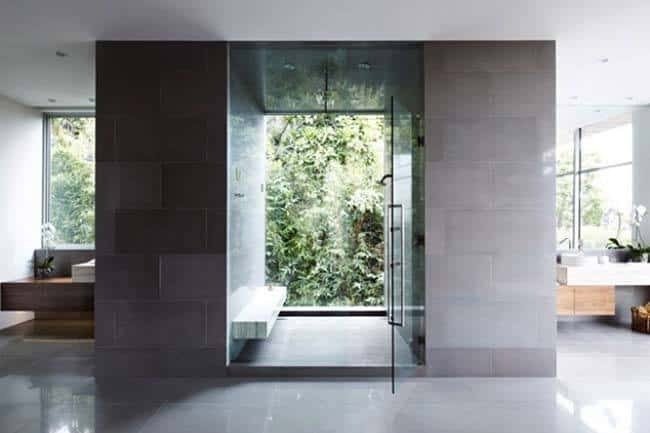 The master bathroom was designed to be a spa-like retreat, with the shower fronted with glass to make you feel like you are showering outdoors. 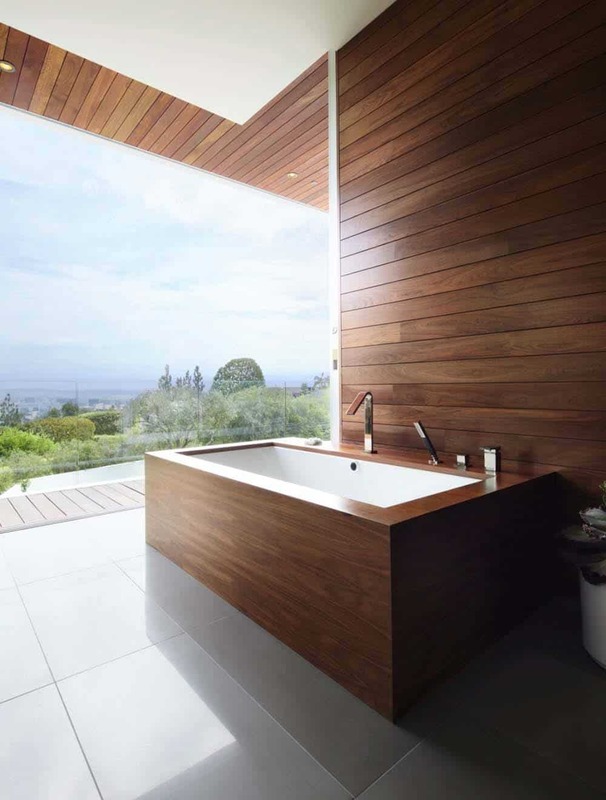 The shower features the latest in showering technology; the Kohler DTVII system offers its users steam, music and a variety of spray functions…. a dream shower to say the least! On the second level is this fabulous home library, situated at the top of the staircase. 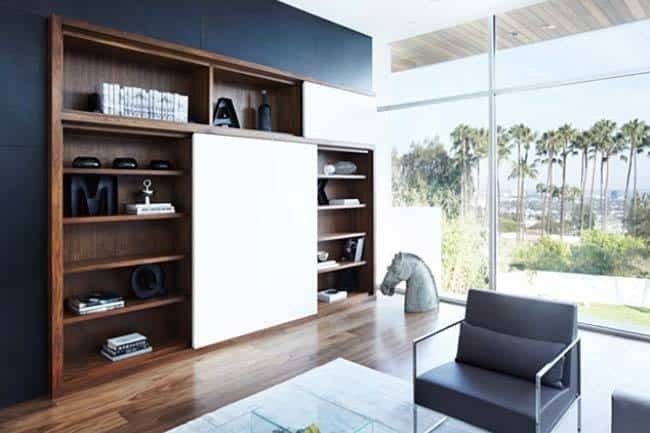 The space offers a secluded lounge space with built-in cabinetry concealing a television and mini fridge. 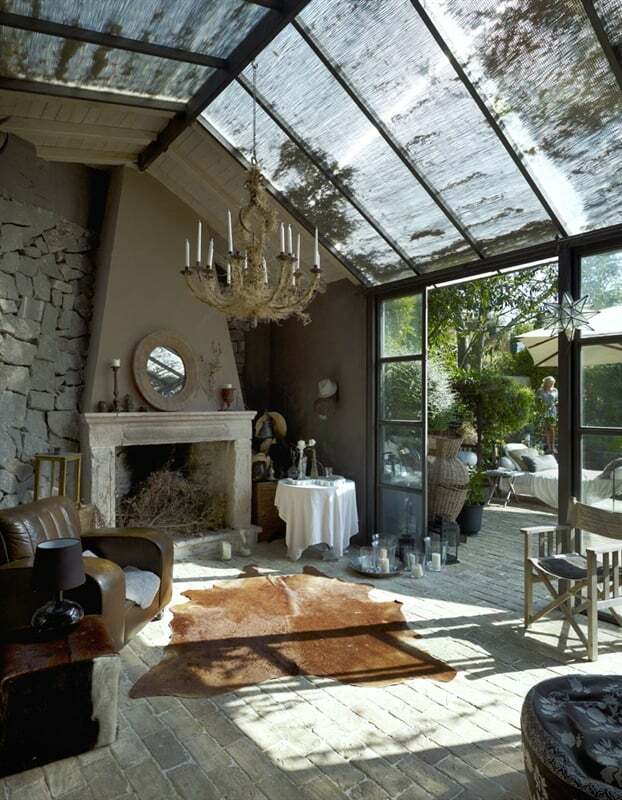 A skylight above illuminates the space with natural light. 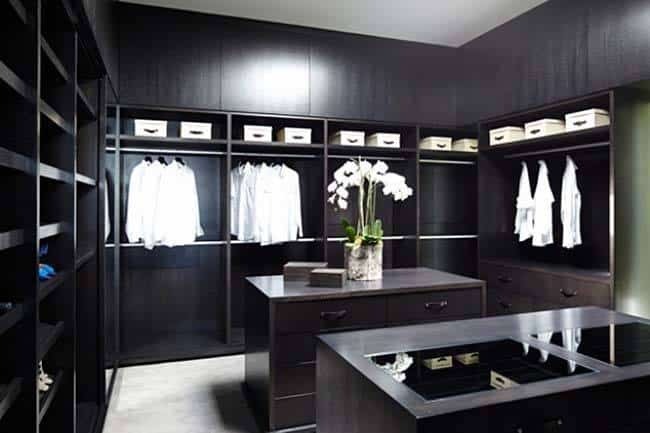 A luxurious walk-in closet in the master bedroom features custom cabinetry crafted from hand-finished rift oak.